We commissioned WeThreeClub to design an exclusive print to commemorate our first reunion show at Wembley Arena! Strictly limited to 500, the prints are signed by Matt, Charlie & James, and numbered by the artist. They are A2 in size, on 300gsm natural stock and are hand printed by a fine art screen-printer in Leeds. The posters will be packaged in cardboard postal tubes. 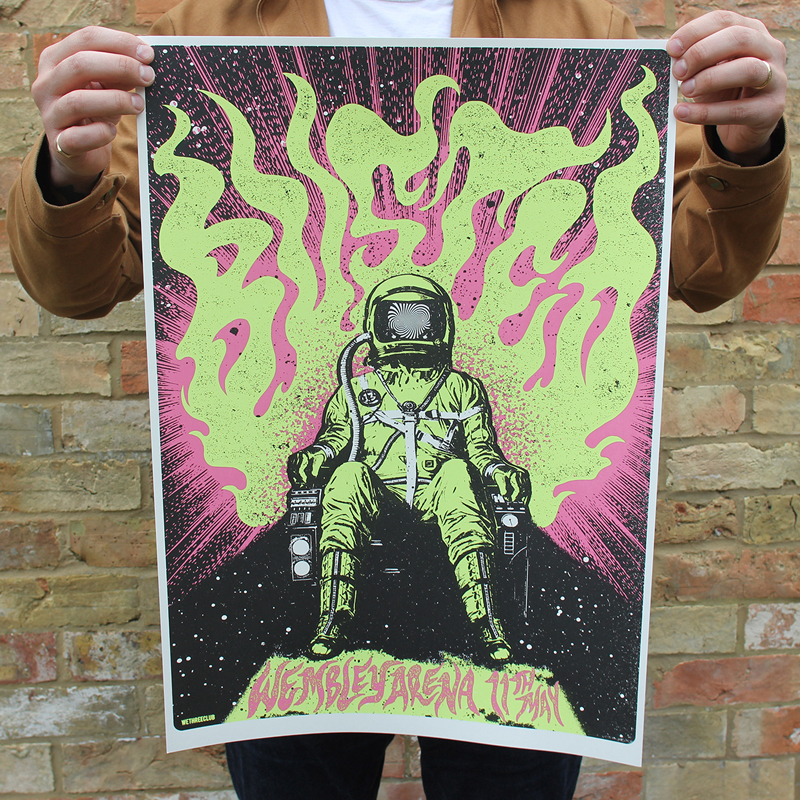 WeThreeClub are a leading art studio in the UK poster scene known for creating record covers and posters for the likes of Florence and the Machine, Royal Blood, Soundgarden, Gallows and many more.